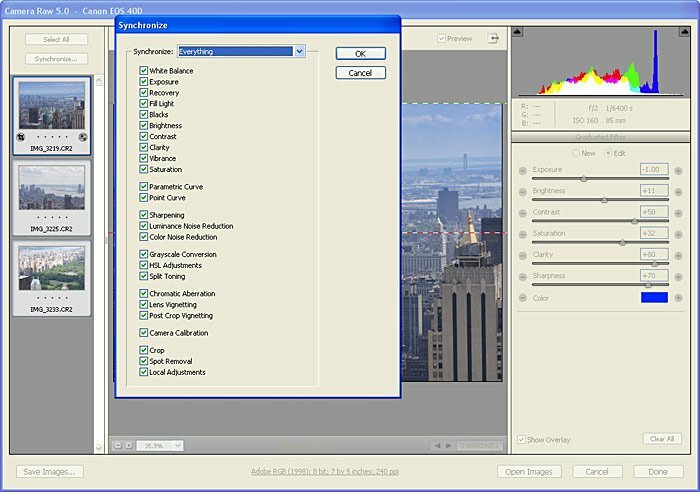 Yesterday, I wrote about some of the new features in Camera Raw 5 like Graduated Filters and Adjustment Brushes. Well, did you know that you can use Camera Raw5’s Synchronize function to have them applied to multiple photos? 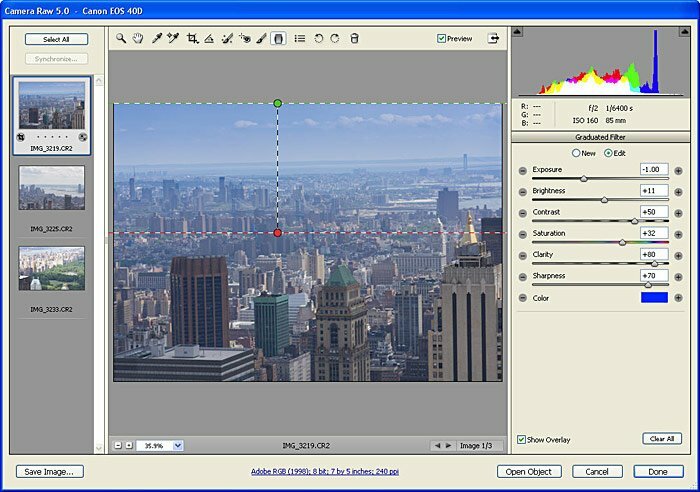 Yes, you can now Crop by inches, pixels, centimeters or ratios in Camera Raw. Yes, you can apply a Graduated Filter with Exposure and other settings. Click the Select All button and then Synchronize. This pop-up window will allow you to select which attributes to apply to the selected photos. 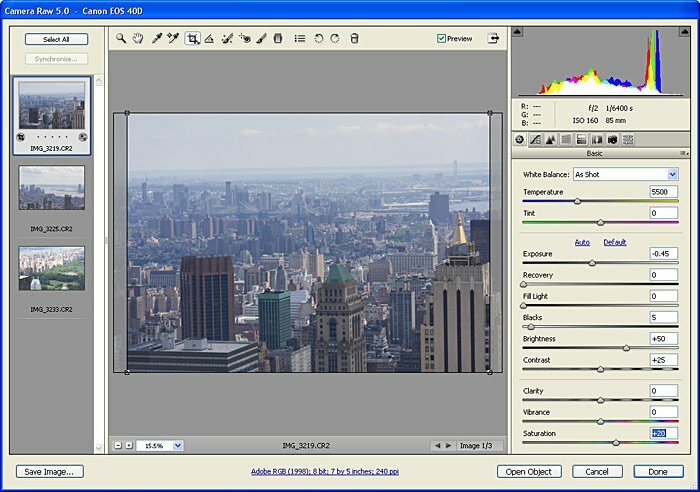 You can even Synchronize the new Crop, Graduated Filters and Adjustment Brushes. 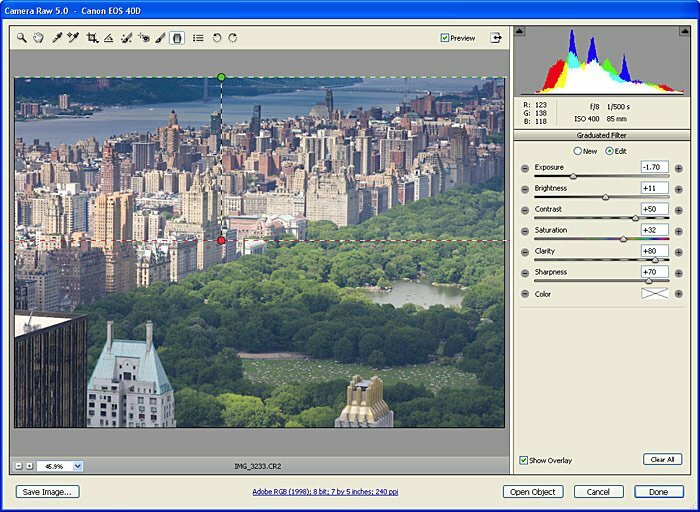 Since all the settings in Camera Raw 5 are non-destructive, you can modify the settings at anytime.